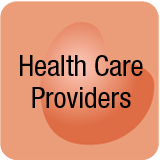 Caregivers and Aging Adults: Are You a Difficult Patient? The medical profession never predicted the need for greater communication and social skills to treat patients. After all, doctors practice medicine, not consult the etiquette recommendations of Miss Manners. Treating middle-aged caregivers and aging adults was and is rarely a thought. There are not enough physicians today interested in a geriatric practice. According to the New England Journal of Medicine (1), we need more geriatricians who are empathetic about the health conditions of older adults and sensitive to daily issues, including transportation difficulties. While primary physicians are able to treat general conditions, geriatricians specialize in the health of aging adults and are more likely to be more patient, understanding, and caring. on television, you know that everyone hates him, he has no social skills but seems to pull out all the stops just at the last moment to save the patient when all else fails. What would you rather have — a nice doctor with good social skills or a qualified, skilled doctor who is less likeable? Caregivers and aging adults want a combination of the two. We all want to feel like our doctor takes an interest in us even though we may only see them once or twice a year. Demanding patients expressing fear or frustration are those labeled problematic patients. I have likely been considered problematic at one time or another; especially when I walk out of my doctor’s office because he or she can’t keep to a schedule. Why is my time not valuable? There are few doctors who apologize for actually being behind schedule, yet offices now want to penalize patients financially for being late to an appointment. Does that mean caregivers and aging adults receive a reduction in rate when the doctor is late? Perhaps this would equalize the relationship to one of mutual consideration and proper business etiquette. Caregivers and aging adults have not been taught to prepare for medical visits. Patients show up and expect the doctor to diagnose our problem in a manner of 15 minutes or less and if this doesn’t occur, frustration results. Bring a copy of prescription medications? Why when the doctor should know all the medications their patient is taking even though the patient sees six different doctors for different health issues. Listen to the doctor’s recommendations? Why, when a patient can take a pill. Doctors really do not care anyway, after all they are paid regardless of whether I’m healthy or not. How many of you consider that the actions and attitudes of patients cause frustration on the part doctors? To make things more complicated, there is a sense of entitlement on the part of the patient and a sense of frustration about the masses on the part of the physician. A medical office is not like a restaurant where you receive poor service and don’t tip. It’s not like a bank where the tellers bend over backwards to serve you because they know you can take your money elsewhere. The hassle factor in changing doctors and the issues in dealing with insurance companies make patients remain with their current doctor for years even if the relationship is not the best. And doctors rarely fire patients. So the bottom line is, why not work to improve the doctor-patient relationship? If we become better patients, listen and actually take action on the recommendations of our doctors and prepare for our appointments, will we receive better care? According to the research, possibly yes, because the relationship with a doctor will change and not be one of problematic anxiety. Will your doctor ever be on time? We can only dream. If you found this article helpful, you might enjoy watching Pamela’s family caregiver video series. Pamela supports caregivers and aging adults learn advocacy skills to be more effective in working with doctors and the healthcare profession. (1) Landro, Laura. The Importance of Trying to Be a Good Patient. Wall Street Journal, Personal Journal B-9, 4/29/2009. © 2012, 2013, 2018 Pamela D. Wilson, All Rights Reserved. 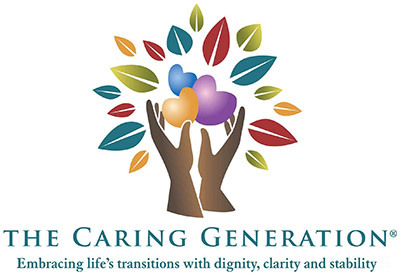 Pamela D. Wilson, MS, BS/BA, CG, CSA, is a national caregiving thought leader, caregiving expert, advocate, and speaker offering online support and programs for caregivers seeking support and advice for the care of aging parents, spouses, and other family members. Pamela supports adults, age 50+, with positive aging advice and online programs to advance health literacy and self-advocacy. Collaboration with professionals in the specialty areas of estate planning, elder law, and probate, financial planning, and healthcare raises awareness of and sensitivity to stressful family caregiving and healthcare issues. Home > Caregivers and Aging Adults: Are You a Difficult Patient?